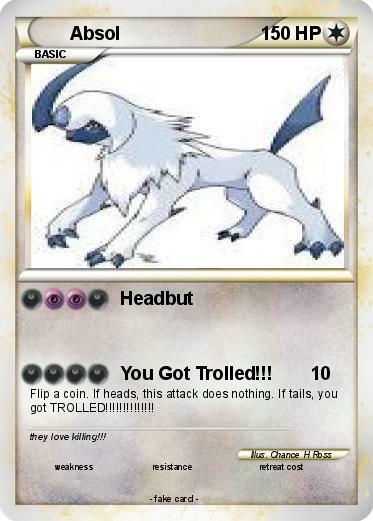 Attack 2 : You Got Trolled!!! Flip a coin. If heads, this attack does nothing. If tails, you got TROLLED!!!!!!!!!!!!!! Comments : they love killing!! !